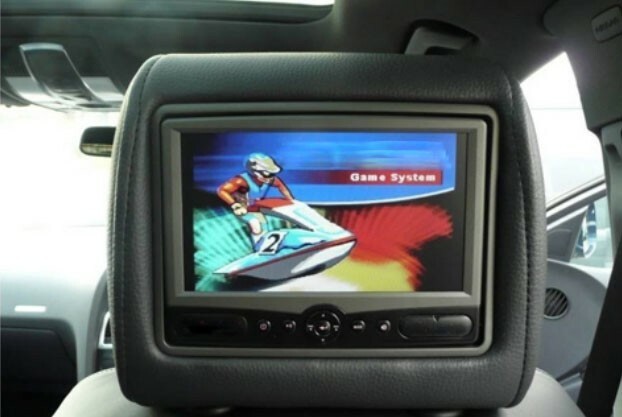 Keep rear passengers entertained with this state-of-the-art DVD and arcade game system. 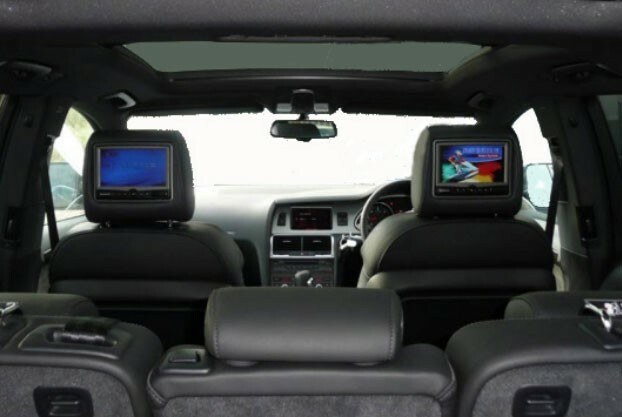 This rear entertainment system comprises of two 7 inch colour LCD screens each with its own DVD player. 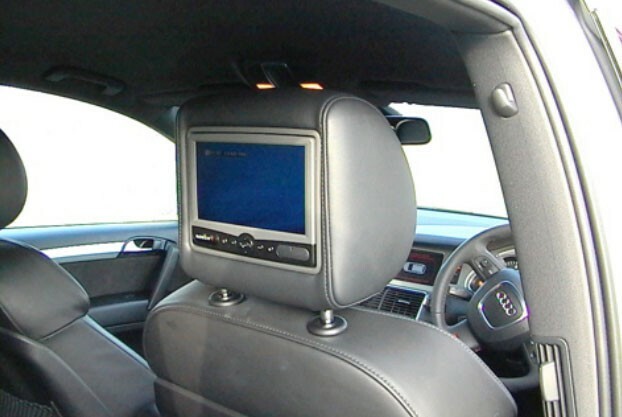 The DVD units are built into rear of the front passenger and driver's head restraints. Each DVD unit operates independently and will each play a different DVD. 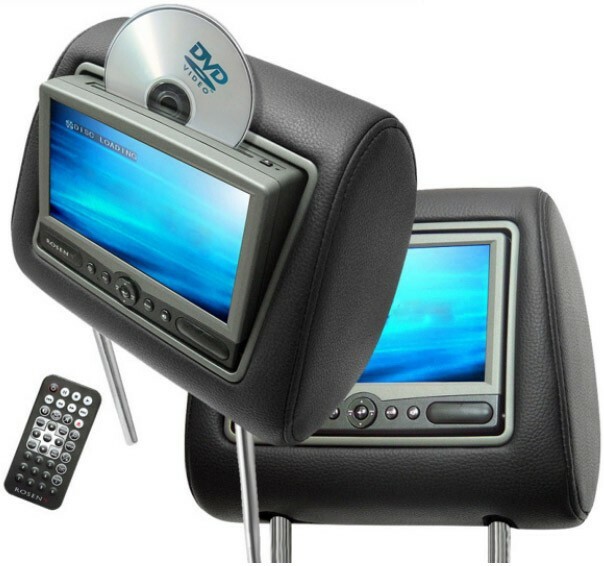 7 inch LCD colour screens with built in DVD players each. Plays DVD, VCD, CD and mpeg4 formats. 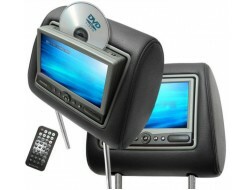 Two independent and integrated DVD player and screen units. Each LCD colour screen measures 7 inches (diagonal). Top, powered slot disc loading. Two wireless, fold flat, twin channel headsets. Two independently operating wireless games controllers. Tilt adjustment for perfect viewing angle. USB port for external storage device. Multi-region - will play DVDs from any country (Regions 1 to 9). Replaces your vehicle's original head restraints. Available in a large variety of finished and textures to match your car's interior upholstery. On-site professional installation within mainland UK. Audi vehicles with removable front head restraints. Volkswagen vehicles with removable front head restraints..
Skoda vehicles with removable front head restraints.